Euro and SNP, both desperate to keep their dreams alive. The European Single Currency could be on the road to collapse. That is the stark warning, not from Brexiteers, but from one of the Single Currency’s main architects, Professor Otmar Issing, the European Central Bank’s first Chief Economist who played a leading role in bringing the currency into fruition. The reasons for this, he argues, are that the European Commission and the European Central Bank have meddled too much in the markets, propping up failing banks which are unsustainable, leaving an overwhelming “moral hazard”. There aren’t many actions of policies of former Chancellor of the Exchequer and short-time Prime Minister, Gordon Brown, for which this column would be thankful, but his determination to keep the United Kingdom out of the Single Currency is one for which the nation should be grateful to him. For when the Single Currency does collapse, the political and economic upheavals across the European Union, particularly in those states that adopted the Single Currency, will be seismic. We are well out of the currency and are also lucky now to be heading towards the emergency doors of Brexit which the referendum on our future membership of the European Union has unlocked. We are no longer inside the burning building with the fire doors chained and locked. This is not good news overall, because the European Union remains a major trading partner of the United Kingdom. With the European Union’s prospects in doubt, that can only pose real threats to economic growth within the UK as well – that is unless we can continue to develop new, free trading agreements with other parts of the world so that our markets grow and our risk is spread to reduce our economic exposure to toxic EU developments. 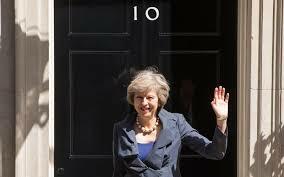 Theresa’s May’s Government needs to invest its considerable talent and global soft power to open up the new markets, and to take forward negotiations on free trade agreements with the many countries that are queuing up to embrace a liberated United Kingdom. It also means winning the hearts and minds of those in the wider business community who opposed Brexit and who are still in shock and denial that an end of our EU membership is what the British people voted for in the referendum. The future is not all doom and gloom, but nor, let’s be honest, is it all bright and rosy either. On that, the Chancellor of the Exchequer, Philip Hammond MP, has been right to sound warnings. Backbench Members of Parliament from both the Remain and the Brexit camps can fire their sound-bite salvos at each other through the media as much as they like, but the fact is that there is a huge opportunity, if only as a nation we can be clear what it is and how we are going to maximise it to deliver economic growth and rising incomes. And therein is something of the rub. Brexit may well mean Brexit, as Theresa May has so consistently said since the result of the referendum was known, but what does a post-Brexit Britain actually look like? What is the Prime Minister’s vision for our economic future, and how does she intend that it will be realised? What we need from the Prime Minister is a major, keynote speech in which she gives strong and clear confidence to the business community that she is determined to deliver a stable and prosperous economy. She needs to calm the jitters in The City and the mischief-making of the media and both sides of the Brexit debate. What investors in Britain don’t like is uncertainty about the future, Theresa May must provide that certainty through a personal guarantee of what she will deliver. This means identifying those industrial sectors which make a major contribution to our economy, meeting their leaders to discuss their concerns and working with them to make sure they are supported by Government and encouraged to get on and grow within the market framework that politicians deliver. We have many sectors of which we can be proud. From digital gaming to car building, from banking and financial services to education, British companies and institutions are world leading. Their potential must be freed by giving them confidence to invest and grow, to develop innovative new products that the world will want to buy. It also means investment in infrastructure: airports, roads, railways and housing, to get Britain building again. The Prime Minister has widespread public support for her approach to date, with unprecedented popularity advantages when compared to other party leaders, particularly Labour’s divisive and extremist Jeremy Corbyn. She needs to harness that support to her cause. And in that context, it seems with Ukip in turmoil, Labour leaving real world politics stage left, and the SNP playing silly games of which even the Scottish electorate are tiring, she is going to have to do this with the engagement of her own Party alone. The situation in Scotland is completely bizarre. Whilst the SNP Administration is increasingly struggling to deliver the public service goods that Scotland needs, its Leader, Nicola Sturgeon, is still flogging the dead Norwegian Blue Parrot of Monty Python fame. The Scottish people voted against independence in significant numbers, and more would do so today were that referendum to be held again, not least because of the fall in the price of oil which would have seen Scotland bankrupt had it been unable to call on the support of the rest of the United Kingdom. So what does Nicola Sturgeon do? She publishes another draft Referendum Bill in an attempt to keep the dream alive. Yes, she will bang on about the Westminster Parties denying Scotland its chance to vote again, but she will breathe a sigh of relief that Theresa May will not give in to her demands, because were the cause of independence to receive a second rejection by the electorate, then it would be lost for generations. If only Nicola Sturgeon were to invest her considerable energy and experience in supporting a United Kingdom drive for business investment and free trade, the people of Scotland, as well as the rest of the UK, would have something for which really to thank her. Shame it won’t happen and that partisan posturing will remain the order of the SNP day. This article first appeared in The Catholic Universe of 28th October 2016.